Each type of roofing has its unique characteristics. However, there are also some common considerations to keep in mind. The actual service life of a roof varies according to the location and exposure to sun and weather. You should not assume that the age of a roof determines its condition. Roof leaks are not usually the result of the roofing itself failing. Leaks usually occur due to the failure or improper installation of some related component such as flashing or underlayment. When resurfacing a roof, you should strip the existing roofing material to the roof sheathing to allow for a visual inspection of the sheathing, and replacement of all of the related roof components. 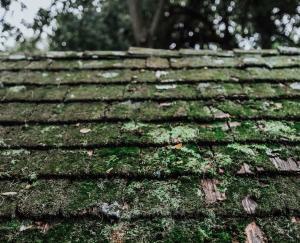 If you have dark stains on a composition roof, it is probably mold. Diluted chlorine cleaners and products such as Shingle Shield are effective at removing the growth. New shingles are more fungus-resistant than some of those manufactured in the 1980s and '90s. Cut back overhanging tree limbs. They can wear a hole in your roof from the wind blowing through the trees. If you have gutters, keep them clean. Gutters full of debris are far worse than no gutters. Debris encourages fungus, which can infect the roof sheathing. Rot and mold are the result. If you have wood shingles, make sure that they are treated for fire resistance and that the treatment is kept current. Keep your roof clean, especially the details around skylights, dormers and valleys, and take note of any change in shape – this is where leaks start. Your roof has an important job to do - to keep you dry in all kinds of weather. If you take care of it, you will get the most reliable protection and longest life.